Today we're taking you behind the scenes at OPIS to show you how our team of analysts collect the wholesale rack fuel prices you live and breathe by every day. We know how important accurate third-party gasoline and diesel wholesale prices are to your business. They help ensure you are not being overcharged by your supplier. They direct you to the best deals. And they give you the tools to make the right choices in your next supply contract. New to using rack pricing reports? Read a step-by-step guide to your wholesale rack report to get a better understanding. But, where do the wholesale fuel prices that appear in your rack report originate before they are sent out to you at specifics points in your workday or in real-time? How does OPIS verify that pricing is legit? This is where the OPIS rack price discovery comes in. Around 40 years ago, our founders pioneered the “art and science” of collecting and vetting wholesale fuel data. And now we're letting you inside the process! First, some basics: Supplier rack prices aren’t posted on neon signs at the rack. Throughout our history, some suppliers have always confirmed their prices directly, sending OPIS the same pricing messages their customers receive. In other instances, prices get collected from buyers our team has vetted as reliable sources. To get into specifics, I turned to OPIS' own Tanya Lee. Tanya and her team are responsible for all operations, internal sales support and customer care operational activities relating to wholesale rack pricing at OPIS. 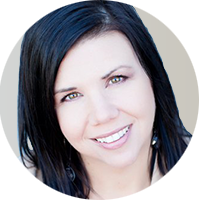 Tanya works closely with our customers on new product development and existing product enhancement. Jessica: How many fuel prices does your team process every day? Tanya: Prices come to us from hundreds of sources – we grind through about 2 million wholesale fuel prices a day and output more than 30,000 prices in about 400 markets. Now, those 2 million prices include a lot of duplicate data. But that’s a good thing, since we believe in getting multiple references for each price we publish. The same source may send us price data dozens of times per day. The OPIS data team normalizes the unique supplier codes so that all variations of a supplier, product or terminal read apples-to-apples and can be compared. Jessica: Do those sources seek you out? And how do you verify that a new price source is sending you legit data? Tanya: When OPIS doesn’t have any sourcing for a specific supplier at a certain location, the supplier itself or the supplier’s customer will often reach out to us asking OPIS to gather and publish data. Once we obtain a new price from a new reporting entity, that data is flagged by our internal system. New data is something we always want because it enriches our reporting. But a new source record in the system kicks off a very rigorous process of validation before a price can be added to our reports. First, we look to determine if we have multiple sources receiving the same price data. If so, we confirm that fuel supply to that particular rack location is consistent, using a minimum daily volume threshold – which varies market-by-market based on its size. We check that the price is being published each day and can be processed by our internal system. And we make sure that the price is an “OPIS Rack” price, available at a competitive market level, to customers buying at that rack. If we don’t have multiple sources, we don’t include the data in our wholesale price report unless a customer specifically requests it. But, even then, we verify there will be consistent, daily supply available and that other suppliers in the marketplace agree that the supplier is a true market competitor. View our full pricing methodology. Jessica: Take me through your day-to-day price quality control process. Tanya: Quality control occurs between 5:30 a.m. and 11:00 p.m. Eastern Time. Our system flags any prices that may be errors or outliers and need extra scrutiny by our analysts. When a price is deemed to not fit into our criteria, it is not included in any OPIS averages until it’s vetted. The price will still be displayed in the report, but will be noted with a little “d” to indicate it is not part of the OPIS benchmark data. Markets are assigned high- and low-price thresholds. Prices that fall outside of this threshold are reviewed. Geography can have a lot to do with variations in price – sometimes a terminal that is slightly outside of a rack city’s “hub” can see a variance that is not seen at the hub itself. 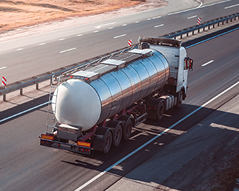 Branded and unbranded fuel suppliers are looked at separately and we also review standard deviations. We perform analysis to identify markets that are long or short on supply. If a market is short, there is a very good likelihood that tighter thresholds will be run. For example, we look to see if a supplier’s branded price is cheaper than their unbranded price. That could tip us off that supply is tight in a market. We also consult the OPIS Editorial Team and see if there have been any issues reported in the Refinery Maintenance Report. Our internal system flags conflicting supplier prices at a given location. An analyst will then reach out to sources and suppliers to determine which of the prices is the valid, posted rack price. In fact, we’ve saved many a supplier from sending out erroneous price data by catching an “oops” before it became a real problem! Jessica: Our standard reports provide one price per product, per supplier, in a given geographic market. Can you walk us through the factors involved in choosing the most representative price for each supplier? Tanya: If the supplier has the same product at multiple terminals, OPIS flags one of those terminals as the standard. There’s a set of criteria that help us select which one. For example, if the supplier owns a terminal, their standard price will almost always be at that owned terminal (exceptions can occur, especially during terminal maintenance or where there is a much larger, and more-predominantly used, terminal for the supplier). If the supplier does not own a terminal – pricing is reviewed over time and the standard price will reference the typically lowest value among the reviewed terminals. Terminal infrastructure is reviewed, with more weight given to terminals that are higher-volume facilities. Lastly, daily reviews are conducted, looking for values that indicate a supplier’s best option is not at the terminal OPIS has selected as standard. We’re always open to changing things up if the market dictates. Jessica: And then, that’s it? Do you publish those prices right then and there? Tanya: No, absolutely not! Beyond all our intense quality control and extensive vetting, prices are never published until a supplier makes them effective. That way, markets remain competitive and follow anti-trust policy. We hope this has cleared up any question you may have surrounding our rack price publishing processes. But, we love questions! So, drop us a line below and let us know if you need any additional clarification. Accurate third-party fuel prices are crucial to any wholesale rack deal. OPIS rack prices provide a trusted, unbiased price reference. Learn how to take control of your fuel buying costs. This 2-day course teaches you the real-world steps needed to buy wholesale gas and diesel for the best possible price, negotiate with suppliers and develop a flawless fuel supply contract..